Do the BEST for your best friend. 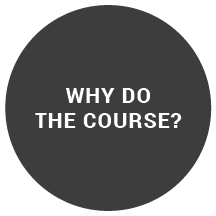 Already have course access? Loginto Pet Protector course. BONUS: Activities to ensure learning for the whole family. Tools for you to keep the children on track with daily pet care. Watch the video to see what you get and how it works. Separate streams for dogs and cats–each with four modules. You get both for the one low price! Take a look at the history of the dog and cat, including different breeds. Understand their natural behaviour and explore the way that dogs and cats communicate verbally and using their body language. This helps you to understand and interact with them in a calm, safe way. Learn about the basic care that your pet needs. Take an in-depth look at nutritional requirements, grooming, oral health and desexing. You will also explore the role of play and suitable toys. Helping dogs and cats stay mentally healthy is also covered. In the dog section you will learn about the extremely important subject of socialisation and early training with tips to get you off on the right foot. Follow these to have a well adjusted dog with good manners that is a pleasure to own. Discover potentially life threatening infectious diseases that affect pets and how you can easily prevent them with vaccination. You will cover external parasites (such as flea and ticks) and internal parasites (such as gastrointestinal worms and heartworm). You will learn about the treatment and prevention of them. You will understand common ailments, possible causes and when you should seek veterinary advice. Learn about common emergency situations that you may come across. Understand common signs and symptoms and how you can perform first aid measures. Understand how you should transport sick or injured animals to the vet.